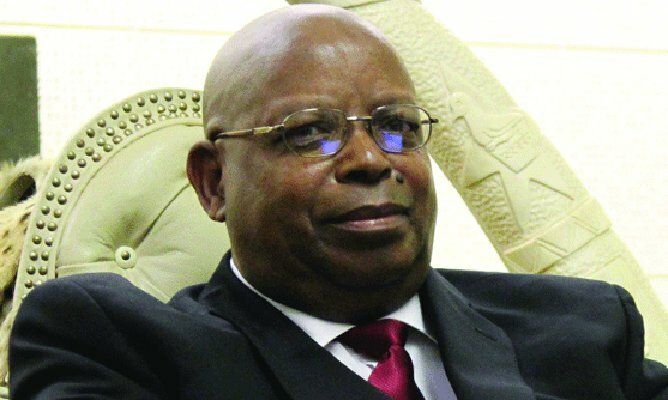 SPEAKER of the National Assembly Jacob Mudenda yesterday ruled that the Parliamentary Privileges and Immunities Act must be amended in order to include clauses that MPs found on the wrong side of the law are arrested with dignity and not harassed. This came in the wake of complaints made yesterday by Harare East MP Tendai Biti (MDC Alliance) over the arrest of fellow party legislators, Harare West MP Joanna Mamombe in Nyanga while attending a parliamentary workshop, and Kuwadzana East MP Chalton Hwende, who was arrested yesterday at Robert Gabriel Mugabe International Airport upon arrival from Namibia, where he had visited his family. “Since August, there are more than 12 MPs (who have been arrested), including myself (Biti), Mbizo MP Settlement Chikwinya, Redcliff MP Lloyd Mukapiko, Chitungwiza North MP Godfrey Sithole, Matabeleland North Senator Rosemary Nyathi, Chiwundura MP Livingstone Chimina, and Midlands Senator Morgen Komichi,” Biti said. “The State has a right to proceed against any individual in respect of which reasonable grounds of suspicion exist, but in casu, if you trace the thread of charges against these MPs one would find that they are clearly political and tied to the highly contested election,” Biti said, adding that the treason charges on the MPs were highly frivolous. Biti warned Zanu PF MPs that tomorrow, the same State agents would be coming for them too. Mudenda said Mamombe was arrested after parliamentary business. Meanwhile, Norton MP Temba Mliswa (independent) and Chegutu West MP Dexter Nduna (Zanu PF) took turns to apologise to Mudenda for their temperamental behaviour last month in Parliament, where they nearly exchanged blows. Mliswa had accused Nduna of being a thief and involved in an $11 million Zimbabwe National Road Administration scam, while the Chegutu legislator, in turn, threatened Mliswa and claimed to have killed people. But yesterday, Mliswa apologised for insinuating that Mudenda was corrupt. “During the debacle, I inadvertently included the name of the Speaker in the furore, mistakenly linking him with the nefarious actions attributed to Nduna,” he said in his apology statement. Mliswa appealed to Mudenda to also address issues of Zanu PF MPs Tafanana Zhou (Mberengwa North) and John Paradza (Gutu West), who he accused of being abusive to female legislators like Lynette Karenyi (MDC Alliance PR). Nduna then also apologised, saying he did not mean what he said. He said whenever there was a fierce fight, one would use a pick, shovel or anything at their disposal to defend themselves. “I want to profusely apologise for the words I uttered, and say that I did not mean anything that I said, and I take back my words and want to apologise so that the decorum of Parliament can be appraised. I apologise to the Speaker as chairperson of the Standing Rules and Orders Committee, the institution of Parliament, MPs and my party Zanu PF for the fracas which had unintended effects,” he said. The post Mudenda makes ruling on MPs’ arrests appeared first on NewsDay Zimbabwe.